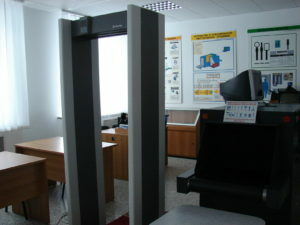 On the basis of the Training Center there is a fully equipped training point of control equipped with modern technical means of safety control, namely: X-ray introscopy (L3 Communications, PX 6.4), stationary metal detector (CEIA HI-PE Multi-Zone Metal Detector), manual metal detectors (Rapiscan Metor 28). 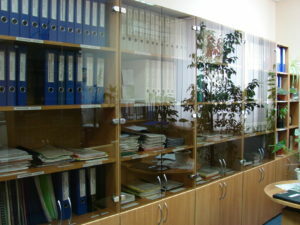 For conducting practical classes there are a large number of models of various dangerous items and substances: improvised explosive devices, explosive charges, explosive devices, ammunition, firearms and cold weapons, anti-personnel mines, hand grenades, electroshockers, balloons with tear gas, various prickly and cutting objects. 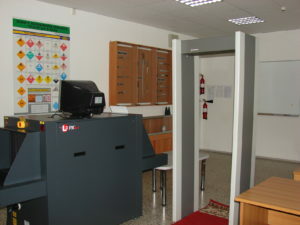 The technical base of the control point corresponds to all the requirements that are necessary for the training of the personnel of the aviation security service and provides the opportunity to practice in practice both separate control procedures for safety and the entire control process as a whole. 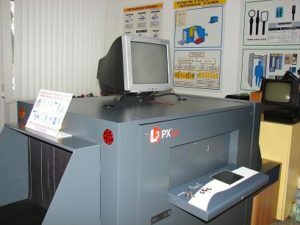 The Sim Fox computer simulator (Renful) is intended for the training of RTI operators. This system enables the staff of the SAB to complete the following practical skills: the interpretation of X-rays, the classification of dangerous objects and substances, training work with the control panel RTI. 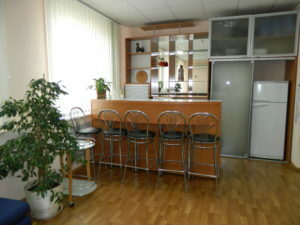 This training class consists of 7 workstations. The maximum number of students who can simultaneously engage in class – 9 people. To study students, 700 X-ray images of varying degrees of difficulty are provided. 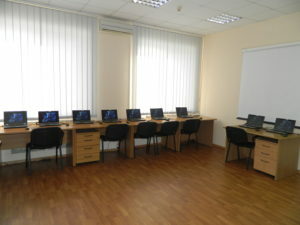 The computer class “Safe Passage” is intended for trainers of RTIs. 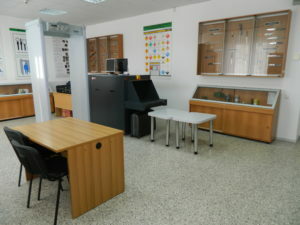 This system is used for the training of the following operator skills: the application of functions for the processing and improvement of X-ray image, the analysis and classification of X-rays, the classification of dangerous objects and substances, the work with the TIP program, the study of the library of dangerous objects and substances. This training class consists of 11 workstations. 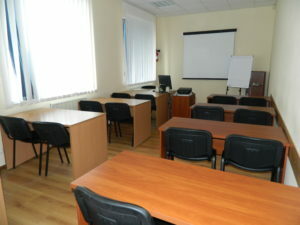 The maximum number of students who can simultaneously engage in class – 14 people. To study students, 20,000 X-ray images of varying degrees of difficulty are provided. 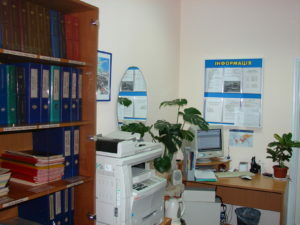 In the methodical office of the Training Center, the best examples of educational documents, normative materials, didactic and visual materials, video films, methodical work of the instructors for separate classes, the “bank” of the notes of the lessons are formed, folders with the materials of various subjects are drawn up, there is an information corner. The structure and filling of the cabinet are thought-out and designed in such a way that all the materials stored in it are placed rationally and conveniently for use. Also, a lot of attention is paid to the methodological development of classes, creative work of instructors. All this is going to be systematized. 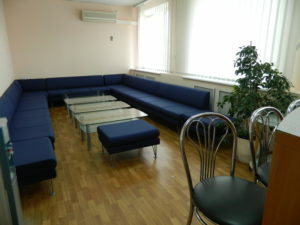 During breaks between classes students have a great opportunity to have a rest in a comfortable lounge with all the necessary amenities: a fridge, a microwave oven, an electric kettle, a drinking-water cooler, comfortable modern furniture, air conditioning, a cozy atmosphere. Short-term rest between classes gives you the opportunity to freshen up, and promotes the learning process. In our training center there are three auditoriums for holding lecture classes, which accommodate 16, 18, 36 persons, respectively. 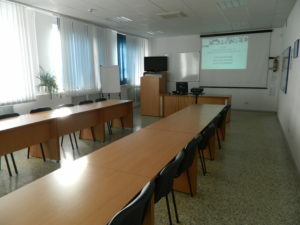 Each auditorium is equipped with all necessary equipment for training: modern computer equipment, a stationary multimedia projector, a screen, a training board, a flipchart, comfortable office furniture, an air conditioner. Educational audiences have a developed infrastructure that fully meets all modern requirements. For listeners, all the necessary conditions and comfort are created: excellent lighting and acoustics in the premises, lack of distracting attention to noise, comfortable temperature regime, high-quality materials for teaching the material.